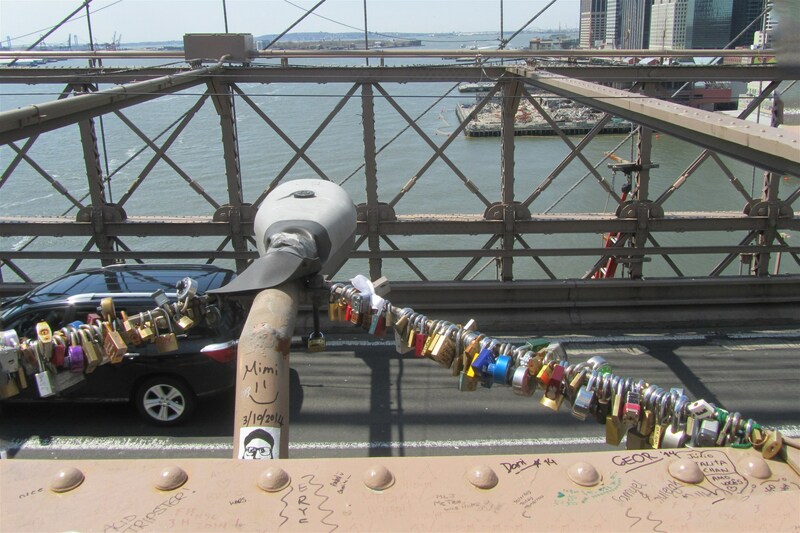 This entry was posted in Travel and tagged Brooklyn Bridge, love locks, Pont des Arts, Ponte Milvio. Bookmark the permalink. Interesting post. I too have seen many bridges with the locks on them, most recently in Brooklyn and Toronto. I didn’t know about the keys being thrown into the ocean or river…I don’t like that part. It ruins the romantic nature of these gestures, but then again, so do the padlocks themselves if they bring down bridges, lamp posts, etc. If nothing else, it guarantees a city employee’s job. Thanks for checking out my Gift of Life post! I was moved by your post on organ donations because a couple of years ago, my daughter donated one of her kidneys to her husband. In my book, that’s an even more loving gesture than attaching a lock to a bridge! Agreed! But just to cover our bases, we padlocked our love to Juliet’s house too. Love you, Dad! I think this is such a romantic idea. Love does not conquer all….